I heard you… Yes, I know some of you have been whining away that I should share the ‘Tip Thursday” on the blog too. But, I thought a few of my ‘Tip Thursdays’ might be useful to you so.. here’s one. If you want the rest – head over to my FB page. 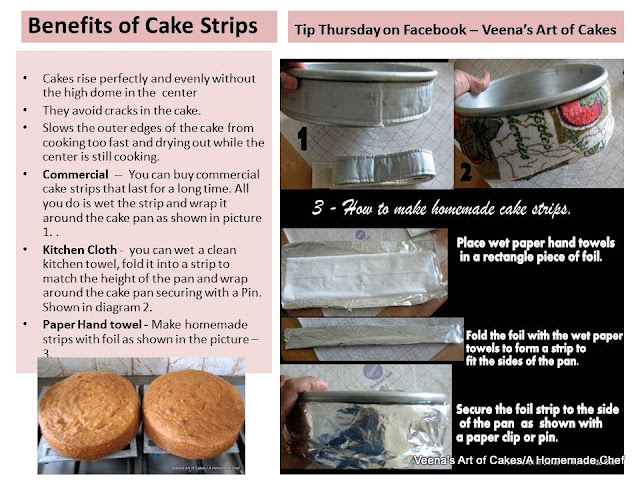 This weeks ‘Tip Thursday’ is about Benefits of cake Strips . I still get a lot of questions on how to avoid cake domes and bake level cakes. 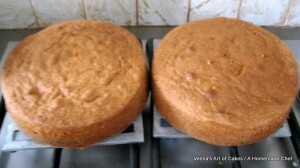 And no you dont’ have to buy them ready made you can make some at home. Buying just makes work less for me while baking. So if you bake often then I would suggest you invest in a set of this. it really makes life easy. Does this increase baking time? ?